Keane’s Mutual Fund Investor Retention Programs are unequaled at protecting fund investors from escheatment — allowing funds to maintain customer relationships and the revenue they provide. Retain up to 90% of at-risk investors, keeping assets under management. Improve investors’ perception of your funds and your brand. Keane is the number one outsourced provider to the mutual fund industry, serving hundreds of firms, both directly and through our partnerships with leading transfer agents. Keane’s success in locating and protecting lost and at-risk investors is measurable. Our retention programs protect hundreds of thousands of shareholders each year—in the process earning a 97% customer satisfaction score. Our clients receive the same great service that earned Keane the #1 rating for shareowner location and asset recovery services for five consecutive years in Group Five’s annual Shareholder Services Industry Satisfaction Survey. When it comes to locating missing or at-risk shareowners, simply staying in compliance—for example, by having your transfer agent conduct SEC-mandated searches for investors with out-of-date addresses—is not adequate protection. In fact, compliance alone can leave up to 70% of at-risk accounts completely unprotected. To overcome this challenge, leading fund companies and transfer agents rely on Keane to provide mutual fund investor retention programs that compliment or extend their internal efforts.  We are the industry’s only comprehensive provider of unclaimed property services, offering customized solutions to meet each client’s unique needs. Analyzing at-risk investor accounts to identify the circumstance creating the risk. Communicating with at-risk investors via telephone and/or mail. Updating investors’ records to remove the risk and preserve the relationship. Our goal is to repair customer relationships in a seamless manner to quickly reopen the lines of communication and commerce.